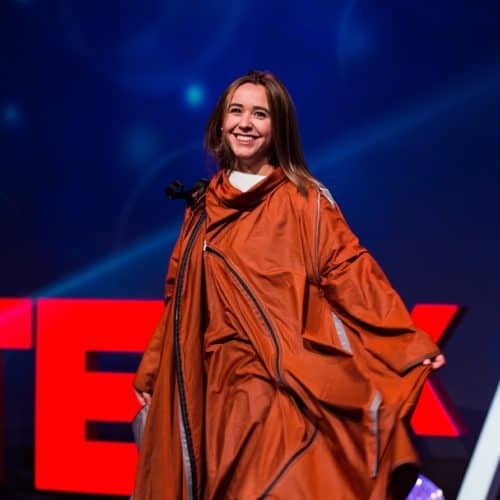 Angela Luna is the founder & CEO of ADIFF, a humanitarian outerwear startup that utilizes the fashion industry to provide aid for global displacement. Coming from a background in design, she saw the massive unrealized potential of the fashion industry, and sought to create change. She is a member of the Forbes 30 Under 30 Class of 2017, and has been hailed as an award-winning solution-based designer. She is committed to using design for good, creating products and services that better the world.